The Lizard Peninsula is spectacular in its beauty, its not just visitors from all over the world that agree with us but also film and television location scouts. 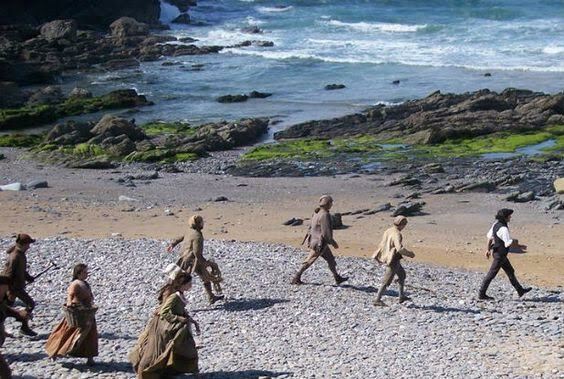 The very popular recent BBC series of Poldark filmed some scenes at Church Cove, Gunwalloe on our Lizard Peninsula. Here was where Aidan Turner, who plays Winston Graham’s lead, and many extras descended onto the beach after a shipwreck. Usually a tranquil and serene place this little cove became the backdrop for Cornwall’s shady smuggling past. For those who have missed the recent Poldark phenomena let me fill you in! Aidan Turner plays the dark and brooding Ross Poldark (only just matched by Cornwall’s magnificent scenery). We pick the story up as Poldark returns to Cornwall after fighting in the American War of Independence and finds his family’s home in ruins and his sweetheart engaged to his cousin! With twists and turns and the beautiful Demelza introduced, we see his character develop. This series is of course not the first to film in the beautiful landscape of rugged Cornwall. On the Lizard we can go back to the oldest recorded film made in this county, in 1899. A short, silent, black and white documentary film named ‘Wreck of the S.S. Paris’, filmed at The Manacles Rocks. 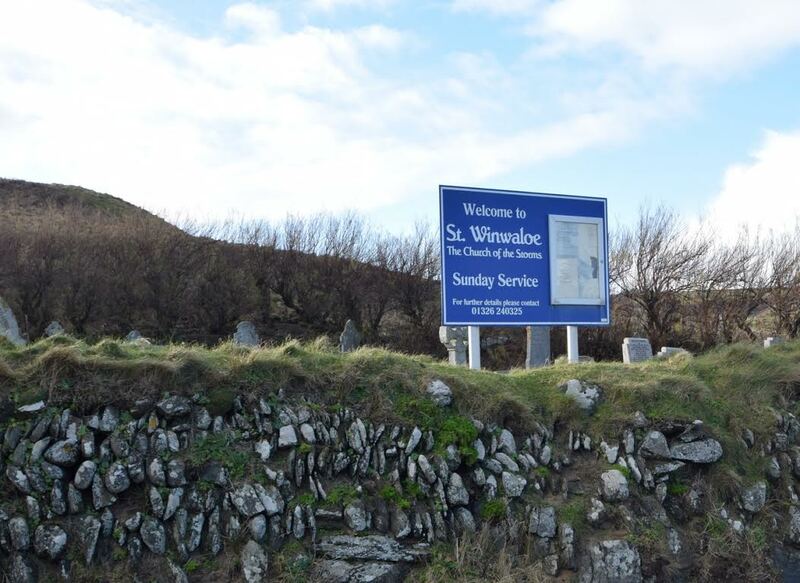 Lets delve a little into Church Cove’s history, the near by Gunwalloe is considered to be the first entry for Cornwall in the Domesday Book and has Cornwall’s largest natural freshwater lake, The Loe. The church itself. known as 'The Church of Storms", dates back to the 13th century, being rebuilt in the 14th and 15th century. Just round the corner is Fishing Cove and here there is thought to be the wreck of a 17th century armoured cargo vessel, the English East Indiaman. It would have been ladened with spices, indigo, drugs, 100 tons of pepper and Indian piece goods. It is believed that smugglers would would position look outs from the church’s tower. The church is called St Wynwallow and has its tower separate, most unusual! If Poldark has whet your appetite to learn more about Cornwall’s history, then a visit to Helston museum is well worth a trip. The museum has one of the best social history, photography and costume collections in the South West and provided the Poldark production team with props and inspiration. For further information visit Helston museum. Thats the wonder of Cornwall, there is just so much history, layers and layers. The Lizard can feel so other worldly early when the mist is lingering, you can imagine you are in a page of a novel. Poldark is set to return to our screens, the second series has already been filmed! We can’t wait, it really is great seeing Cornwall looking so good.